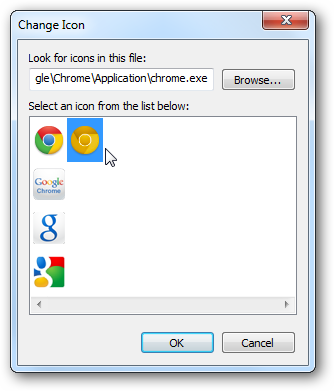 You might not realize this, but there’s actually another icon hidden inside the Google Chrome executable file—and it’s a high-quality version of the same logo, but golden. Here’s how to use it. If you’re wondering how we got the smooth icon you’re seeing above, it’s because the latest dev channel version switched the icon from the older style. 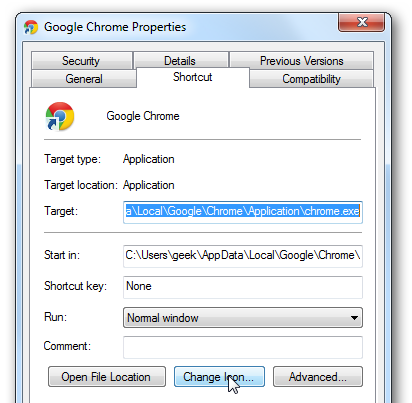 All you have to do is open up the shortcut Properties screen and head to Change Icon. Inside the Change Icon dialog you’ll find a bunch of icons—sadly, the other 3 are low-resolution icons, but you can switch to the gold one from here. To pin yours, just un-pin the one you have now, and then swap out the icon in the shortcut, and right-click and choose Pin to Taskbar. Update: yes, the gold icon is from the Canary build, but most people don’t realize that it’s stored in the executable file for the regular version too. If you want to download all of the icons, including the blue Chromium icon, you can do so from the following link. You’ll need to save them somewhere, and manually choose the icon path in the Change Icon screen.